QuickBooks logo is Intuit trademark. Use of it does not imply any affiliation with them. This year I had to start doing my own taxes for my freelance work. To get everything cleared up, I had to talk with an accountant that I’ve helped out multiple times with various computer problems. Since I’m a “computer person“, she asked to help her out with building a new PC for accounting or picking a new laptop. After all, it shouldn’t be that hard to find the best laptop for accounting software, like Quickbooks. That’s what this post will be about – the problems that should be taken into account (heh) when searching for the best laptop for Quickbooks. On the second half of this post, I’ll give some great laptop models depending on your budget and needs. Enough of my stories, let’s get this post rolling. Word of caution. This post is very strictly focused on accounting and not on very demanding 3D/audio software. 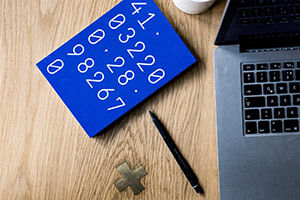 This post will focus on a laptop for Quickbooks and other accounting software, whether it’s on the web (online) or desktop (offline). 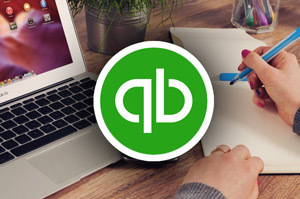 Since Quickbooks Pro, Premier and Enterprise do not demand high-performance components, the laptops I’ll recommend will be great for the desktop versions and QuickBooks Online. Worth noting, I am assuming that the laptop will not be a part of client and server setup. These requirements will also guide as to good enough laptops to smoothly run other accounting/business software, such as Microsoft Office, TurboTax, Lacerte etc. What am I looking for in a best laptop for Quickbooks? Meanwhile, requirements for Quickbooks Online are practically non-existant. It doesn’t take a genius to notice that if a computer is good enough to run QuickBooks Premier, then it will be good enough to run Online version. I’ll just make sure that the laptop will be able to run any QuickBooks product that it will need to (Desktop or Online). But these requirements are just the start. How these official requirements translate into exact parts I’m should be looking for? And what else is needed for a QuickBooks laptop? QuickBooks performance depends almost entirely on the processor. At the same time, there’s no need to go for an expensive power-hungry CPU – Quickbooks will work very well even on a lot cheaper hardware. I do, however, recommend not going for the cheapest CPUs. As time goes on and additional software piles up, low-end processors start taking too to long to respond to commands. And if we’re shopping smart, we can find that the price difference between a low-end and a decent mid-range processor can be negligible. The upside of Revit is that it doesn’t require a powerful graphics card and that makes Revit a lot more suitable for laptops. Knowing that I’m going to guide you through the requirements for a good Revit notebook and my picks for the best laptop for Revit. 2018 June 3rd update. Updated CPU, GPU write-ups, replaced all laptops and updated the spreadsheet! I’m very glad that Autodesk put in the effort to outline various levels of Revit hardware/software requirements instead of just putting up a list of minimal requirements. This allows us to understand which parts scale better than others and where we should put our focus on. Unlike other visual software (AutoCAD, Solidworks etc. ), Revit does not need a powerful graphics card for rendering the drawings. For an entry model under 950$ – a higher-end Intel Core i5 model is a necessity. Anything above that should have a 5th-7th generation “i7” processor. In some rare cases (covered at the end of the guide), there are laptops under $900, that come with a fast i7 H-series CPUs. As per usual, 8 GB of RAM should be your starting point and 16 GB is the magic spot where you don’t have to worry about the memory (for the most part). Right now, 1000$ is a good line to draw for what amount of memory is acceptable. Any laptop under 1000$ can have 8 GB of RAM and anything over that must come with 16 GB on board. It does not matter much whether memory is DDR3/DDR4. For Point Cloud interactions, it is required to have either a 10,000+ RPM hard drive or a SSD. Since laptops don’t come with HDDs over 7,200 RPM, that leaves us with only 1 option – a Solid State Drive. SSDs have fallen dramatically in price and apart from budget laptops – should be a part of any Revit laptop. Now you need to draw a line on how much storage you need – 250, 500, 1000 GB? Most likely, something like 250/500 SSD + 1 TB HDD is enough. In that case, your OS, Revit, and projects you’re working on should stay on the SSD while older projects and general media can be moved to a spacious HDD. There are some well-rounded laptops that don’t come with an installed SSD. In that unfortunate case, I recommend keeping 100$-200$ extra for 250/500 GB SSD (I’ve had the best experience with Samsung drives, but there’s plenty of good brands to choose from). We’ve got down our 3 major requirements – processor, memory, and storage. Now any leftover budget should go towards making sure it lasts long, it has a great screen to look at and it can perform well when using other professional software apart from Revit. You’ll be looking at it throughout the day (and once in a while – throughout the night), so we might as well make sure it looks good. Every screen can be broken down by its resolution, contrast, brightness and color gamut. When talking about the resolution – go for Full HD (1920×1080). There’s not much reason to go above Full HD, especially when Revit developers do not recommend going above 150% DPI scaling. That simply means, that fonts and buttons in Revit will not scale properly at high resolutions. Contrast should be 800:1 or more, average brightness should be 280 cd/m or more (which is ~20 cd less than usually advertised maximum brightness). Good contrast and brightness are mostly important when working outside or near a bright window. Finally, color space/gamut is not usually mentioned with other specifications but some reviewers measure it. In that case, 90%+ sRGB coverage and 60%+ Adobe RGB coverage indicate a wide color space. That means that the screen can produce vivid colors. In some cases, you might need to manually calibrate the screen to minimize its color bias – tendency to be a bit too blue/green or red.